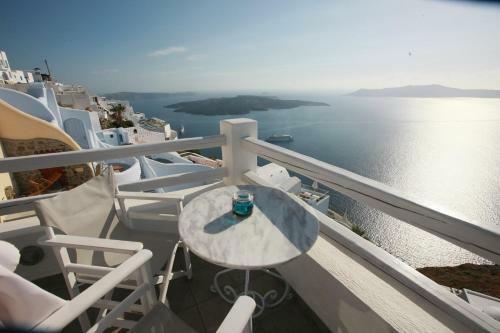 Hotel Galini is 2-star hotel located in Firostefani, Santorini. Hotel Galini offers to its guests bar	and restaurant. The property accommodates visitors in family room and other might be available upon request. The rooms provide sea view and landmark view. Amenities of the rooms include a/c, heating, tv, satellite channels, fridge and more. In the kitchen there are kitchen utensils, fridge, oven and hot plates. Hotel Galini does not accept pets. Fields with * are required. The enquiry is sent directly to Hotel Galini.